Keep in mind there will be more things being posted for the next few days – if you’d like to make an offer for anything you see feel free to email me at greyfixit@live.com – I will consider all reasonable offers. I hate doing it – but really, the family and my house come first. I love my Hulk – but I love my daughter and providing the best possible place for her takes first place. Thanks for all your support guys! Alright, the new format doesn’t work for EVERYTHING so I will just let you know about these stickers. 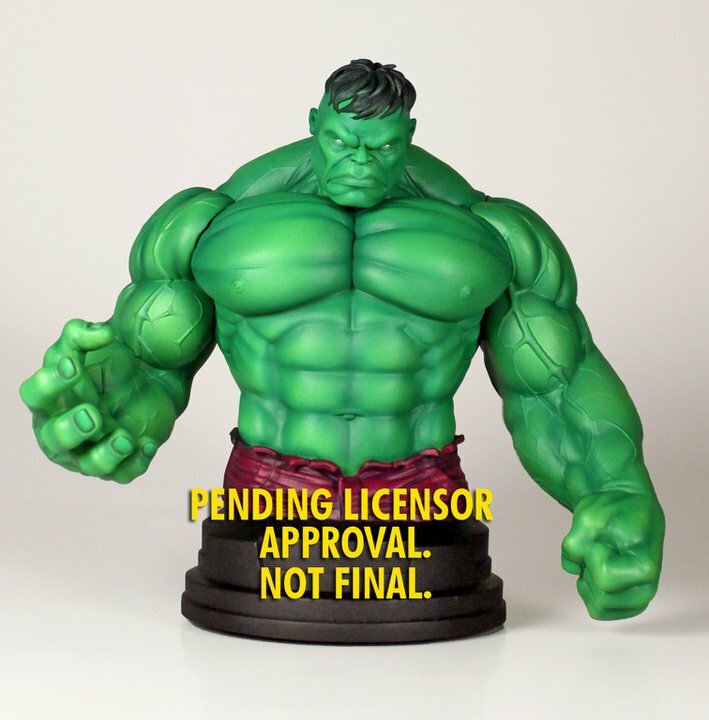 I actually have a set of these already on my car – in fact, the way I met someone off the Statue Forum at my LCS because they saw the Hulk on my side windows. THESE Hulks! I love being able to display my love for the Hulk to every stranger in a non-intrusive, totally apparent way. Picked them up at Harrison’s Comic Shop in Salem, MA last year some time. Larry Harrison is there most of the time and it’s fun to bring up a pile of stuff to the register and try to haggle the prices with him – only for him to shoot every offer down and just shake his head “no”. Man, I can’t wait to do that again! I am starting off a new way of reviewing things – trying out a new format and all – hope you all enjoy – let me know what you think. Also, just trying to catch up on things now… sorry posts have been so slow. THE POSITIVE: Let’s begin with the fantastic art as Grummett takes over! The art is a huge part of the enjoyment of these funny books for me, I mean, everyone has their own tastes as to what is and what is not good art but like I’ve stated in the past I love most of Purves run while many a Hulk fan try to forget about that time period. Also, I am jazzed that Cho is back with Banner! Although – have they addressed why Cho was wrong in assessing Talbot not being an LMD? If I were Banner I would totally be questioning Cho’s claim at being one of the smartest after that huge blunder. Still having Cho have your back should put you at ease – but with a partner as unpredictable as the Hulk… good luck with any plan going according to… well, plan. Lastly, I hate to say it but Betty has never been more enjoyable to read. She has gone through a lot of transformations in the era of Hulk comics – but never has she been more difficult and a source of frustration for the Hulk. It breathes new life into the character that we didn’t see happen with Ross as the Red Hulk (Of course, that could have to do more with the writer). 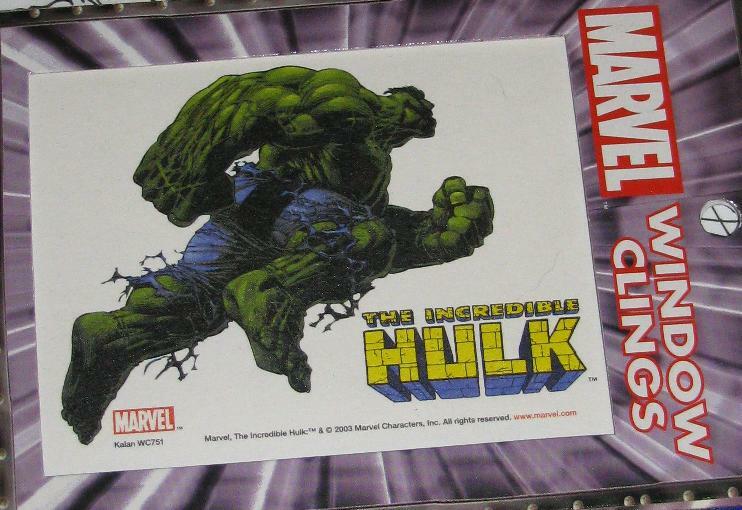 THE NEGATIVE: Why is this book still titled in the plural form – did the Hulk not shed most of his team in the last issue? Are they still counting Betty and Rick? Whatever – I am just happy they are focusing more on the Hulk now – and even bringing back some of Hulk’s original foes such as Tyrannus. Although, Tyrannus is and always has been one of the least interesting original villains of all time. I can’t say I was completely jazzed when I saw it was him. And the whole issue is using the Hulk’s strength and rage against him. This is a plot point that has been around since the inception of the Hulk and when used right can really have an impact on the story. Here though… I saw the twist coming from a mile away. Betty’s in the vault? Really? Come on – Cho didn’t see that coming either? Maybe he was a bit too worried about the Hulk causing damage – which is exactly why he is a flawed sidekick. 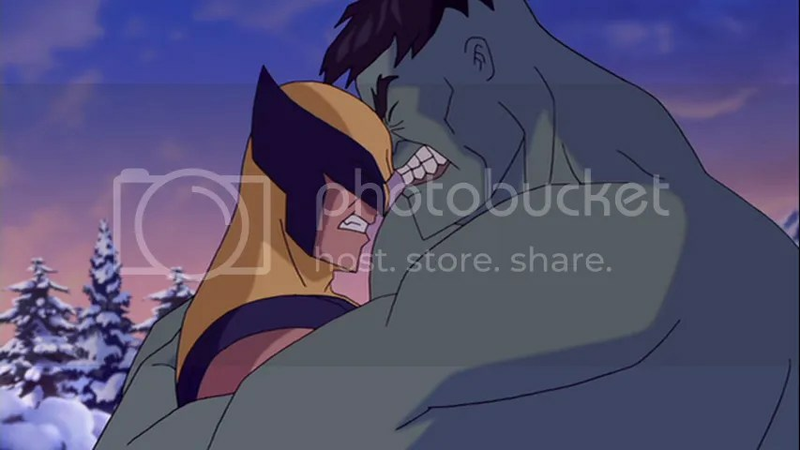 A smarter person would have figured a way to work the Hulk into a situation rather than trying to make Bruce stay calm and repress the beast within. Especially when Bruce was going after Betty. 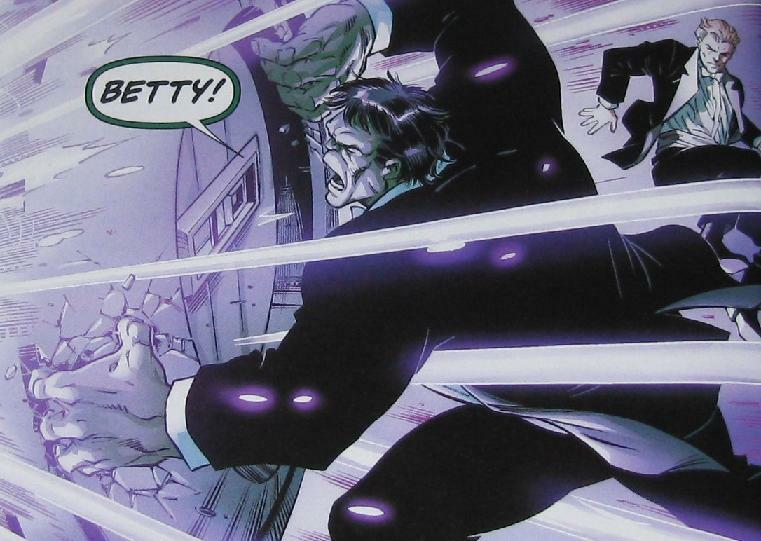 If there has been a Hulk triggering switch in the past – it’s Betty. Always has been, always will be. Hulk doesnt need no stinkin combination! AND THE RELEVANT: Now this is the part of the review where I can discuss what relevance the storyline may have on the Hulk continuity. Such as – if I had reviewed the Hulk issues when the Red Hulk first showed up I would still say the character’s origin was crap – but I would also admit that the relevance would be great because I think the character was here to stay… good or bad. This issue is hard to say if will have lasting power as it’s just the first issue of a two-parter but they are off to a good start with Betty turning to the dark side and even using the Hulk to do the dirty work. Let’s see how the next issue shapes up. CONCLUSION: Absolutely buy this issue and read the hell out of it. THE POSITIVE: There’s a whole lot of humor in the first issue. That makes comics so much more fun to read. 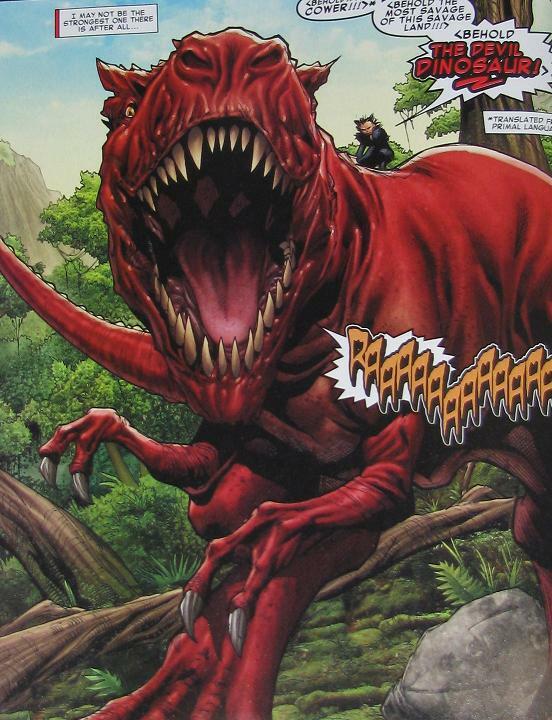 There’s also a bunch of pretty great action – you have to love people beating up Dinosaurs! 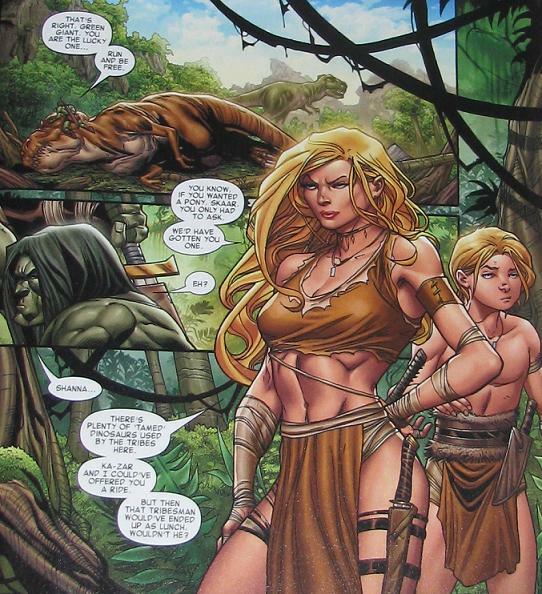 Also, there are a bunch of intersecting storylines with Ka-Zar trying to connect the Savage Land and the rest of the world, Shanna trying to “welcome” Skaar into the ways of the Savage Land, and of course Skaar fighting humongous robots and unlocking some great ancient evil from an underground prison. Im sorry - what were you saying Shanna? My thoughts were... elsewhere. THE NEGATIVE: Amazingly enough, there’s not too much negative to talk about here. I mean, the art is fantastic, the story is funny, interesting and moving at a nice pace. Overall, nothing to complain about here. Seriously Skaar? Act like a man! 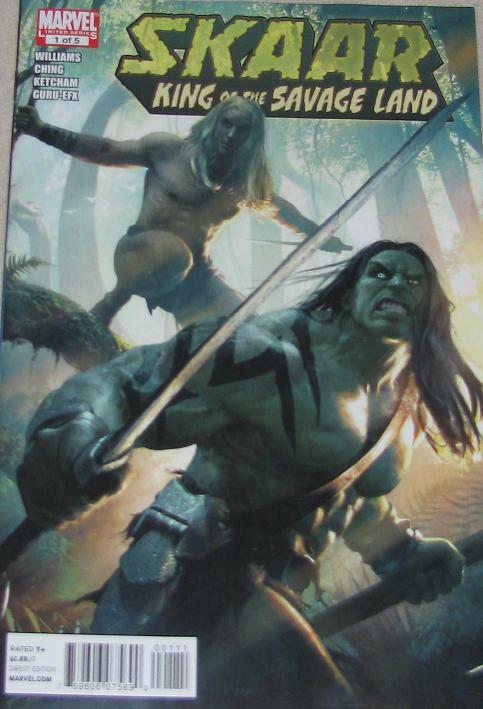 AND THE RELEVANT: I guess we can all admit at this point that Skaar was a great idea. 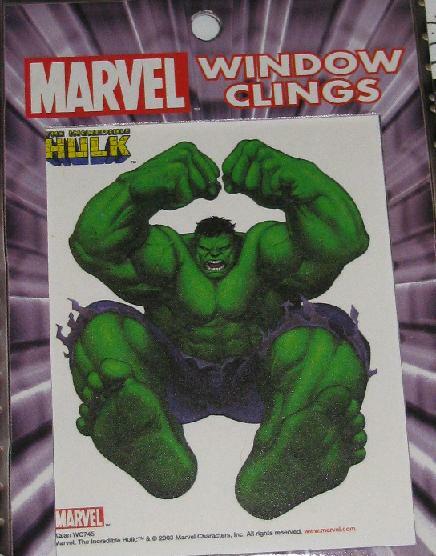 He came off of an amazing Hulk storyline and has continued strongly throughout. 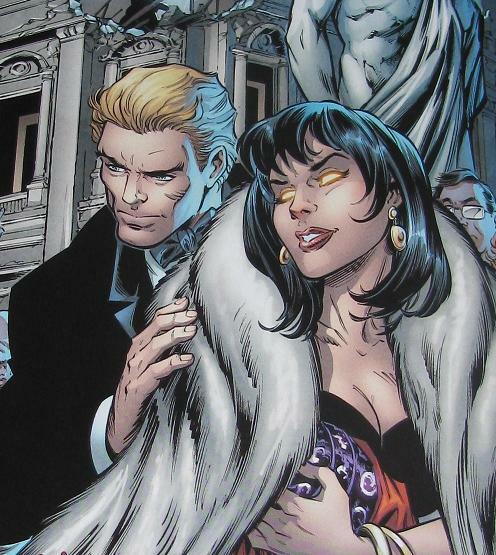 Even how he came to be in the Savage Land and stay was a decent enough story… well, HIS part anyways. And I will be the first to admit that he is a perfect fit for the Savage Land! Who wouldn’t want to see a weekly bout with dinosaurs! 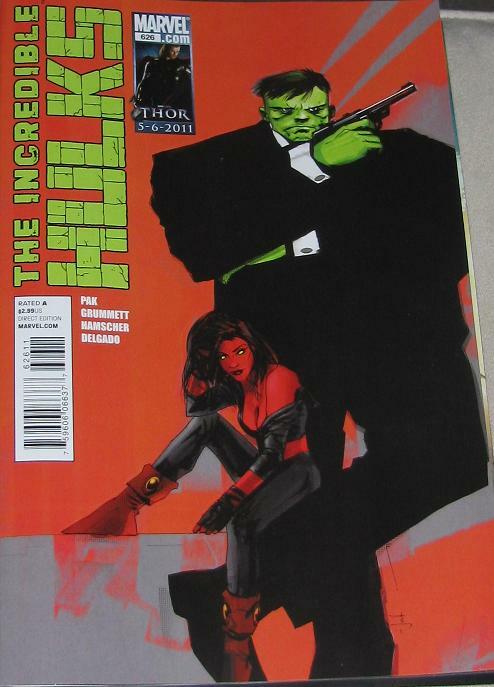 And, as with the Hulk storyline at the moment, this is the first issue of a mini – so I really can’t give you a definitive answer on whether or not this little series will have an overall impact. 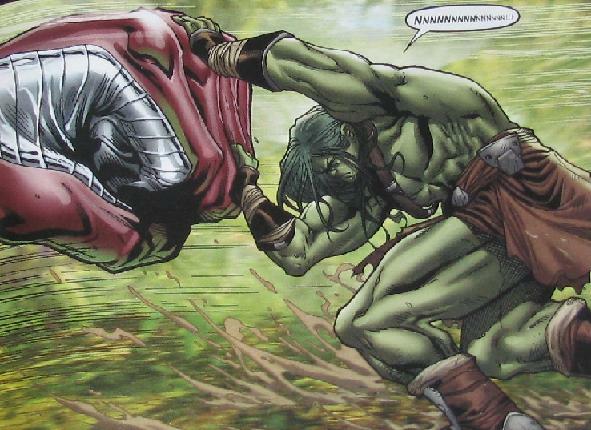 Crap, Skaar - now you are IN for it! CONCLUSION: You should get this comic and read it a few times. Then read it again! I am thinking about getting a jam piece together. A piece that each artist I ask will contribute to – not too sure what I am looking to do exactly – but I still have a bit of time. I have been searching out some Hulk art and found this thread with some excellent examples – and I thought I’d share! Click on the image above – and enjoy! 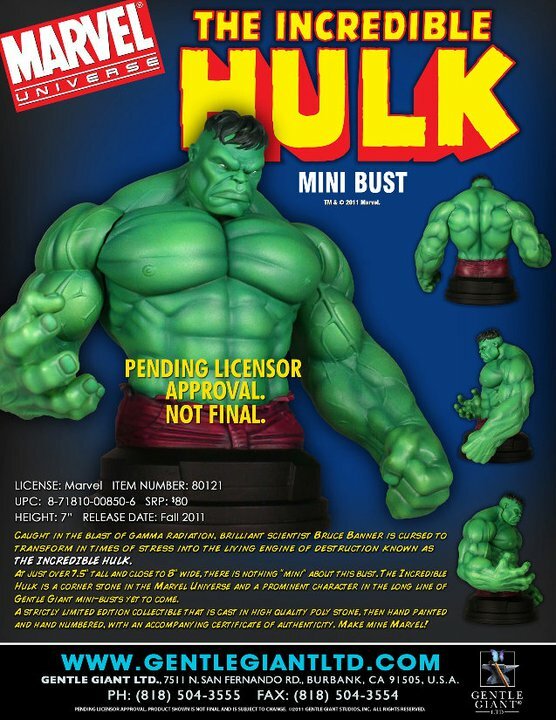 Gentle Giant has released a prototype of the new bust that will be coming out. 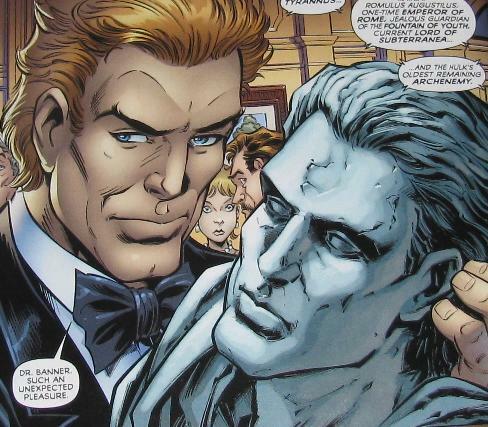 I think it has potential – based off a Keown drawing – not one of my favorites – but still, the bust looks decent enough! I believe the apparent seams will be filled in – I am not too worried about that – but GG doing full torso busts? Cool! One of the best things about the ML line was the articulation – they always loaded the figures with all sorts of articulated points! I love the fact that you can not only pose the arms and hands – but even each finger! 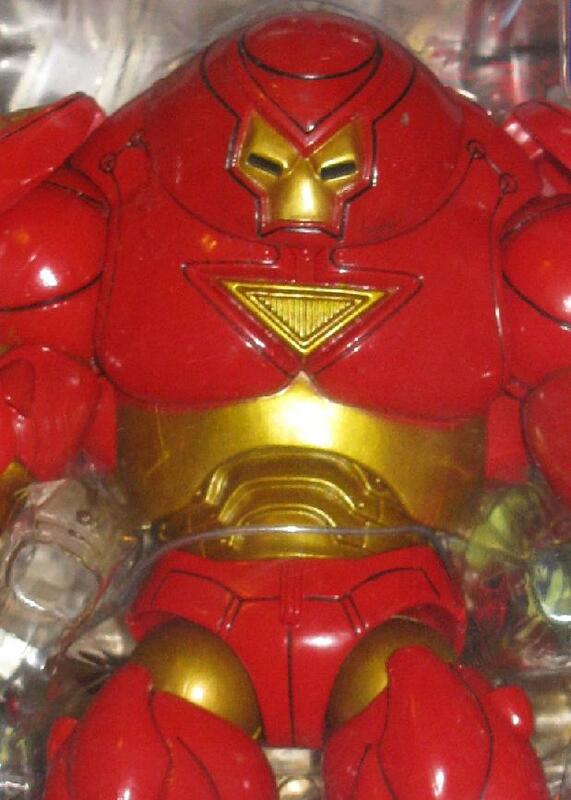 This figure is an excellent portrayal of the Hulkbuster figure – I actually like the 3″ figure a bit better. 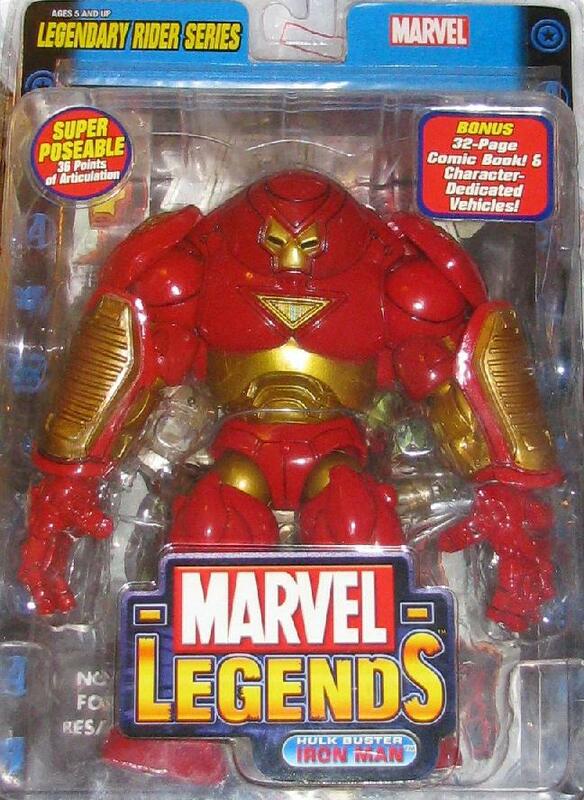 But let’s get real here – who doesn’t LOVE huge action figures? I love huge action figures and this one is no exception! In addition to the articulation the other thing I love when it comes to action figures – the details! And this figure has details up the wah-zoo! I don’t have an open figure – but I have seen enough reviews and videos on this figure to know that you can open the helmet to reveal Stark’s head! The inside has all sorts of gadgets and buttons… which makes you wonder… how does he press those buttons that high? With his tongue? That’s disgusting! Can you imagine how the inside of the suit smells? Ewwww… This is definitely worth a pick up though!